Whether you own a home or business, you know how damaging a pest infestation can be. No matter the pest you’re experiencing, know that help is out there. 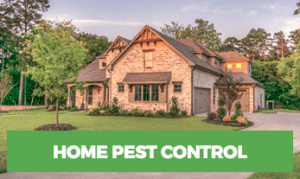 Rest Easy Pest Control has exterminators Hudson County, NJ for all of your pest needs. Give us a call as soon as you notice signs of pests so we can treat them before the infestation thickens. 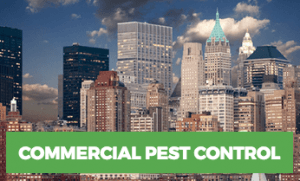 When it comes to pest control in Hudson County, you can’t go wrong with Rest Easy Pest Control. Pests can be a humiliating nuisance in your home. While they aren’t always caused by a lack of cleanliness, you might feel as though you are to blame for your new or longstanding pest infestation. Unfortunately, in the case of some pests – like termites or stinging insects – there is little you can do to prevent infestation. Keeping your home tidy can help reduce the likelihood of infestation of some kinds of pests. Make sure your floors and countertops are free of crumbs or spills and seal up all potential access points to your home (such as the gaps around windows or doors). Make an effort to clear the brush near your home, and dispose of garbage in a timely fashion. If you find pests in your home, don’t waste time messing around with ineffective DIY treatments. Instead, contact a licensed pest control company in Hudson County immediately. These skilled, highly trained individuals will work with you to develop a tailored solution that meets all of your needs as a homeowner. While pests in a home can be a nuisance, pests in a commercial setting can be downright devastating. If you have pests in your business, you are putting yourself at risk for potential lawsuits, failed health inspections, and poor customer reviews. You even run the risk of being shut down completely for failing to address your pest infestation problem. If you own a business, you should consider investing in regular pest control inspections and preventative services. This will help you stay ahead of the game and be aware of a pest problem before it actually becomes a problem. The list of pests that might invade your home or business is practically endless. While rodents, flies, ants, and stinging insects are common in homes, they are also frequently found in businesses. Other pests, such as carpenter ants, are most frequently found in homes. Pests won’t discriminate between a home or business, so you should do your best to make sure you are aware of all kinds of potential pests. Watch for signs of infestation, such as droppings, gnaw marks, or sightings of the pests themselves, so that you know what kind of enemy you are dealing with at all times. If you’re sick of pests in your home or business, you should know that you don’t have to suffer in silence. Stop wasting your time with ineffective DIY treatments, or with costly and toxic pest control methods. Contact us today for a free quote. We use organic pest control tactics so that you don’t have to worry about damaging your health with synthetic chemicals. We know that safety is your number one concern when it comes to eliminating pests in your home or business, so we won’t force you to try treatments that might put you, your family, or your customers at risk. Our methods are some of the safest and most effective in Hudson County, utilizing practices that will help treat your current infestation and prevent a future one from ever occurring. If you’re done messing around with failed pest treatments and sick of pests ruining your business or peace of mind, contact us today. We’ll get your home or business back to being a safe, healthy, and pest-free haven. Call now for professional pest control in Hudson County, New Jersey.